The companies said the optimized Phase 2 infill drilling program at El Domo was successfully completed in late December 2018 on the open-pit constrained mineral resource. Adventus Zinc (TSXV:ADZN) and Salazar Resources (TSXV:SRL) have announced the final drilling results from the 2018 infill program on the El Domo volcanogenic massive sulphide (VMS) deposit, which is part of the approximately 22,000-hectare Curipamba project located near Las Naves, Ecuador. The companies said the optimized Phase 2 infill drilling program at El Domo was successfully completed in late December 2018 on the open-pit constrained Mineral Resource, for a full year total of 12,608 metres of infill drilling between both phases of the work program. 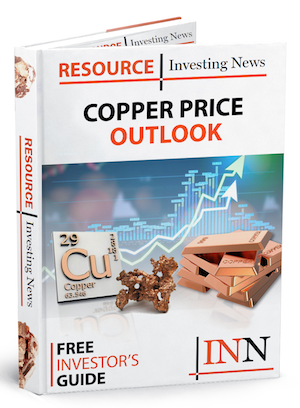 CURI-337 intersected 2.73 metres of 3.31 percent copper, 11.50 g/t gold, 22.87 percent zinc, 457.2 g/t silver, and 0.44 percent lead for 25.07 percent copper equivalent. Click here to read the full Adventus Zinc (TSXV:ADZN) and Salazar Resources (TSXV:SRL) press release.